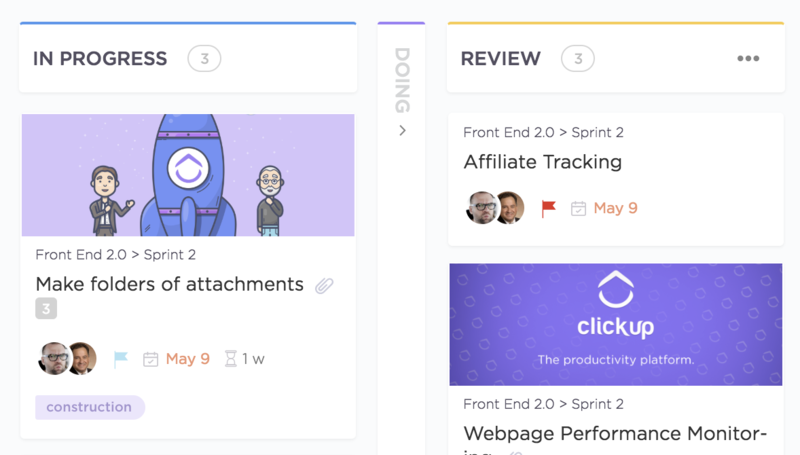 Board View automatically sets the most recent picture attached to a task as a cover image. If you'd like to change this image, you can pin any image attachment to the task. Customize which image is permanently shown by Pinning an image to a task. 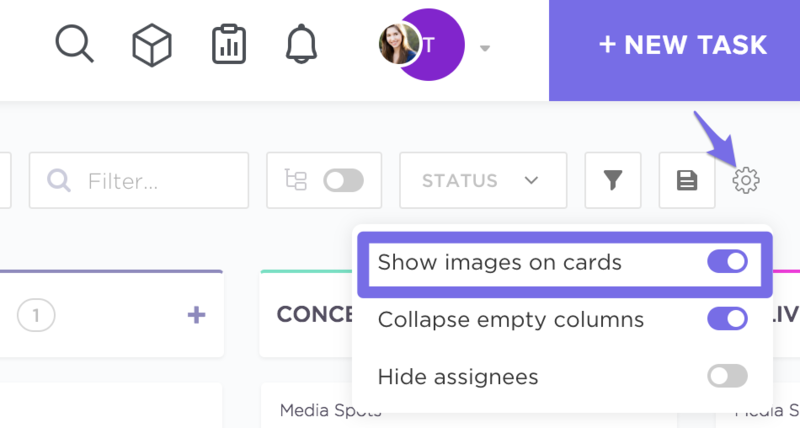 This will show any pinned images in your tasks in Board View. 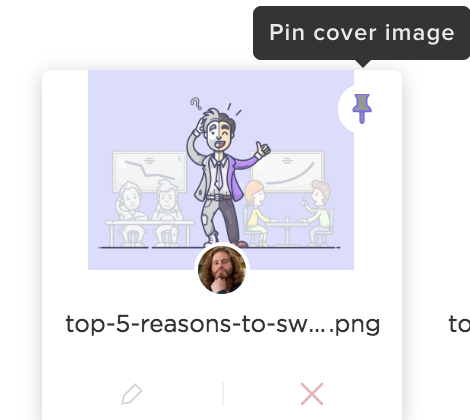 Reveal a cover image in List View by hovering over the Pin icon on a task!